When we were in New Orleans, we had the good fortune of staying on Decatur St., right near all of the action. 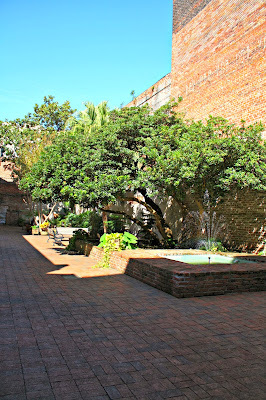 A short walk from our hotel, we found the Jean Lafitte Visitor Center for the Jean Lafitte National Historical Park. 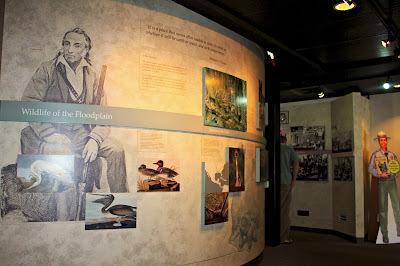 The entire park consists of 6 different sites, the Visitor Center being one of them. 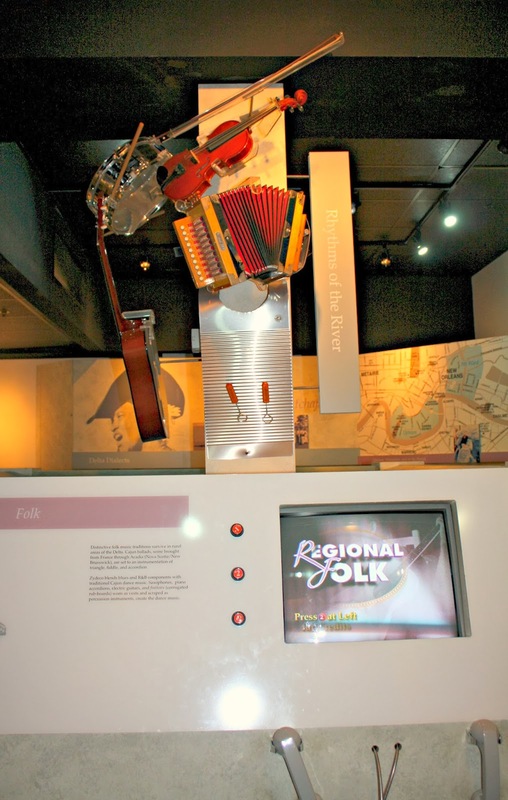 The Visitor Center was a nice little gateway to New Orleans and provided opportunities to learn about New Orleans and Louisiana through multimedia. As we entered the center, a ranger immediately grabbed the attention of my daughter and presented her with a packet and a challenge. My daughter needed to complete the packet to earn a certificate and a junior ranger badge. Of course, she was up to the challenge! My daughter had fun exploring the exhibits and answering questions. Most of the questions could be answered right at Jean Lafitte. We were informed that we could take the packet with us so my daughter could work on it throughout the day. Our favorite portion of the Visitor Center presented videos and audio to teach visitors about the music traditions of Louisiana. What a wonderful taste of the sounds of New Orleans! When she returned the completed packet to the Visitor's Center, the ranger went over the answers with her. She then took and oath and became a Junior Ranger complete with a certificate and badge. Fun and it was free! 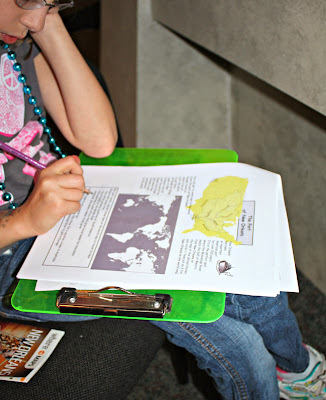 While at Jean Lafitte, we learned that Girl Scouts can also earn a badge by working on projects at National Parks. The projects do not have to be terribly involved and may be as simple as cleaning up a little trash on a trail. If you travel often to National Parks and have a Girl Scout, it is definitely worth checking into. Earning a badge is on the honor system and your child will need to complete 10 hours of projects. You can check with a ranger for more details or head to the website. 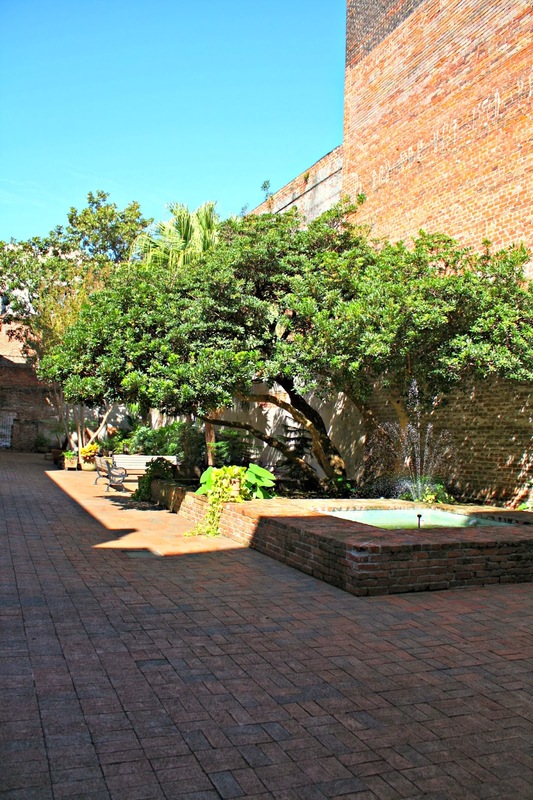 Another interesting tidbit about Jean Lafitte--it has a pleasant courtyard that is tucked away from the bustle of Decatur Street. We sat there a bit to catch our breath and have a little water. Also, there are some public restrooms available. You never know when those will come in handy! Earning a Junior Ranger Badge is a simple add-on to a family visit to New Orleans. All of the locations within Jean Lafitte have similar challenges. I am going to have to check for this on future visits to other National Parks!